Opioid painkillers are often overprescribed. People who take too many opioids are at risk for addiction, poisoning, and overdose. Prescription opioids include Fentanyl, OxyContin, Vicodin, Duragesic, Methadone, and Dilaudid. There are many thousands of deaths each year due to overdose or poisoning. Sometimes a doctor is to blame for overprescriptions. However, manufacturers also bear responsibility. If you believe that you might have grounds to bring a prescription drug lawsuit, the experienced opioid drugmaker and distributor attorneys at Moll Law Group are available to help you recover compensation. Billions of dollars have been recovered in cases in which we have had involvement. Opioids can be important in managing pain, but they can also put a patient's life and health at risk. Sometimes the fault for an overprescription lies not with the doctor but with the manufacturer. In some cases, doctors are provided inadequate warnings from drug manufacturers about the potential dangers of taking high doses of painkillers or prescribing these painkillers for periods that are too long. Recent lawsuits claim the drugmakers knew their product was doing harm and fraudulently marketed opioids to the public. They promoted the irresponsible use of their product to increase their profits. They failed to report suspiciously large orders of prescription pain pills placed by distributors and pharmacies. The suits target some of the biggest names in the business – McKesson, Johnson & Johnson and CVS. There are other risks as well. Sometimes a patient is not a proper candidate for a specific opioid, such as when they have pulmonary health issues, but the drug is prescribed because the manufacturer has not provided adequate warnings or marketing materials. Patients whose doctors engage in opioid rotation — rotating from one painkiller to another — may face additional health risks due to adverse drug interactions. 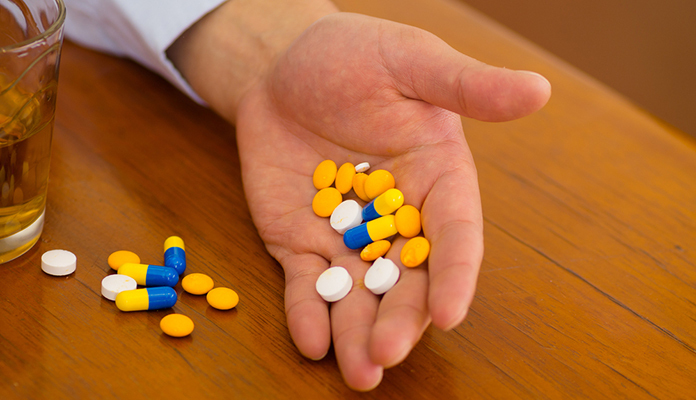 If you or a loved one suffered injuries from an opioid use, you might have two potential claims, one against a doctor for medical malpractice and one against a drug manufacturer for failure to warn or other marketing defects. Failure to warn is the most common type of marketing defect associated with opioid use. All manufacturers owe an obligation to provide adequate warnings about the dangers of their products, and an opioid drugmaker and distributor lawyer can hold them accountable for failing to do so. In most jurisdictions, a drug manufacturer cannot defend against a failure to warn claim by arguing that it was unaware of the risk. All manufacturers owe an obligation to consumers to stay knowledgeable about their products. If it is possible to discover a danger by conducting testing, research, or investigation, a defendant drug company can be held liable for a risk of which it should have known. When there is new information about opioid dangers, drug companies are supposed to warn consumers about these new risks. In the context of prescription drugs, most manufacturers discharge the obligation to warn consumers by warning their doctors under the learned intermediary doctrine. Undergirding this doctrine is the concept that a prescribing doctor is in a better position than the manufacturer to provide an adequate warning and can also conduct a better analysis of whether a particular patient should be treated with a specific drug. The doctrine is also based on the idea that manufacturers do not have the capacity to communicate directly with each consumer. However, there are nuances to the learned intermediary doctrine, and it is applied differently in different jurisdictions. Damages that you can recover if you can show that the manufacturer should have provided a better warning include any compensation that would put you back into the place in which you would have been had you not been harmed by opioid. These may include economic losses, such as past and future medical treatment, drug rehabilitation, vocational rehabilitation, past and future wage loss, and household services. Noneconomic damages may also be available and would include pain and suffering, mental anguish, and loss of consortium. Family members may also be able to bring a wrongful death lawsuit as a result of an opioid use that results in a death. If you were harmed or a loved one was killed because from opioid use, the product liability lawyers at Moll Law Group can evaluate whether you have a basis to bring a lawsuit. Our firm brings failure to warn claims for clients all over the country. We serve people in states such as Illinois, California, Florida, Michigan, New York, Ohio, Texas, and Pennsylvania. Call us at 312-462-1700 or contact us by completing our online form to set up an appointment with a resourceful opioid drugmaker and distributor lawyer.